Welcome to the new OSD guild forums! "This is so cool! My name is Sir Reginald Featherbottom III and I've been tasked with captaining the very first exploration starship of the Sovereignty of Penguina! Our mission: to boldly go where no Penguin has gone before! I can't overstate how proud me and my crew are to be the first ones to search the darkness of space. Our long range sensors already detected potential habitable planets. It's an exciting time to be a Penguin!" "I'm pleased to report our long range sensors were indeed correct! We arrived in-system a month ago and found a beautiful arctic planet. Since then we've been carefully surveying the biosphere and it's a perfectly habitable planet for our kind! The boys on the ship have been calling it New Penguina and since we're the ones that discovered it, I plan on insisting that the name becomes official. I've heard from my friends in the court that they ordered a colonization ship to be built as soon as possible. No one was expecting to find such a beautiful planet perfect for sustaining life so soon. The fact that it's so close to our homeworld is astonishing. It's almost like it was destiny. I've always been a Penguin of science so I largely ignored the Word of God but maybe it's all true. Maybe we really are meant to rule the stars." 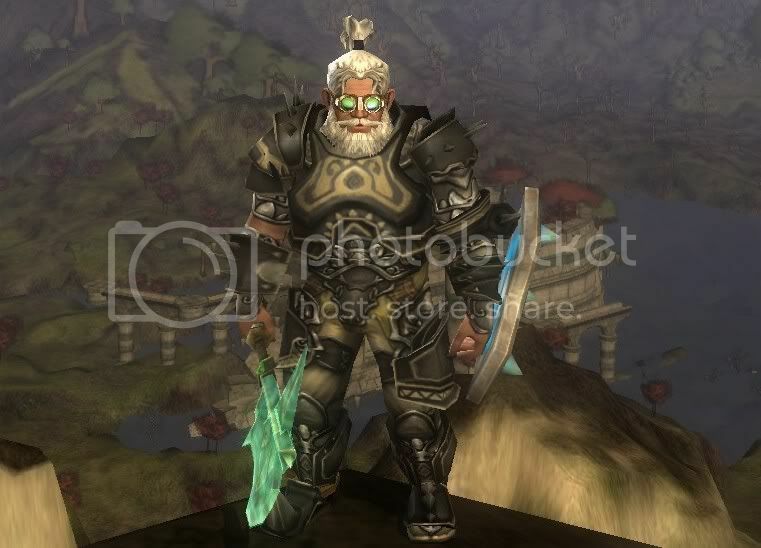 @Yndrofian and I have been itching to bring our DDO-Alts out into the world. If you'd like to join us, please feel! Nothing too serious here, just some casual fun and adventure! Bring your own heals, the party, if it's more than Yndro's Monk and my FIghter, is likely to be seriously unbalanced...lol *snarls* Only the strong will survive! Bring your own heals (BYOH)! It was pretty simple to get these mods rolling for both Windows and Linux users! Don't be shy, feel free to join us. I'd be happy to share what I know....but I'm still a student of the game myself. A new adventure awaits. A saga will be chronicled and you will have front row seats! Watch and read as the story develops. Six brave souls will face dangers and mysteries in an unknown world. Strategizing, fighting, and working their way to answers which they hope will solve their most dire problem. Who are these brave souls? Why do they have such problems? The video below will begin to answer these questions. Follow this thread for weekly or bi-weekly updates! Interested in joining OSD? Click the image below and we'll walk you through the process.